Having a website is no longer optional. Having an expertly designed, developed and managed website is a critical tool in your marketing tool box. Your website design needs to be compelling, powerful, easy to navigate, technologically current, virus-free, mobile-friendly, and so much more. 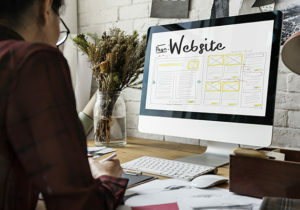 Your website design is important – a website is often a customer’s first experience with you, and may determine if it will be the first of many, or the last. While developing a website can be a daunting process, our job is to make it easy. We outline the entire process for you, guide you through it step-by-step, and make sure that when we are ready to pull the trigger and launch your website, your prospects will love what they see, and you will be proud of the way you are represented online. Having been in business for over 15 years, we have provided website development services for over a 1000 companies. We are very proud of the fact that our websites are search engine marketing friendly, are designed for sales, and are easy to use for the guest, as well as our clients. Our job is to make your job as easy as possible–marketing and website maintenance should not be a hassle! We have several website development and management packages available to fit the needs of almost any business. Let us help you with all your web design and development needs!